Feb 09, 2019 Received , job well done ! part working very well thanx!! Dec 19, 2018 Great service with reasonable time around. Highly recommended. Dec 18, 2018 I was very pleased to have found your company. The part that I had repaired is no longer available and I would not have had any choice but to purchase a new range. The instructions for sending the part were very clear and the turnaround time for repair was within a week as promised. Dec 06, 2018 My repaired timer works like new again. I am most grateful that you could repair it . My only option was to scrap the whole appliance if I had not taken the chance to repair. I will certainly recommend your company to my friends who may need your services. Nov 20, 2018 Thank you Thank you Thank you… good as new again… only took a week to fix… VERY happy with the service… will definitely recommend !!! Nov 07, 2018 I am so happy with the repair of my oven timer. I mailed it out to Appliancetivers.ca and within 4 business days it was returned and working perfectly! Saved me lots of $$$$. Sep 11, 2018 You have no idea how happy I am to have my stove back in working order after two years. Once the control panel was removed and sent to Quebec it was repaired in record time (delivered there on a Thursday and received a email the next day that it had been repaired and ready to be returned). Put it back and and voila the lights went on and so did the oven. Not only is the oven working but I was down to two burners and now three are working with the fourth attempting to. Can live with three for the time being. For a very small price to pay for repairs you have saved me from having to buy a new stove which i couldn't afford - especially one to replace this one with a down draft. Also saved me from using a friend's borrowed toaster oven for baking for the rest of my life. Howard, again thank you so much. I am spreading the word of your wonderful repair service to everyone I know. Sep 05, 2018 Excellent service. Part arrived promptly by courier. The unit is installed and everything is working again. Before I found you on the net I had gone to my local appliance centre and as the part is no longer made they tried to sell me a new cooker. Our cooker is as good as new and you saved be a couple thousand bucks. May 20, 2018 Excellent service. Saved my girlfriend a bundle by not buying a new stove. Website and videos were excellent and service was top notch. I can't thank you enough. Feb 13, 2018 Received a prompt reply to my inquiry which informed me that the timer did not control the range top. I sent the timer in for repair right away and received it back promptly the next week. A very slick customer experience overall. Thanks for a very cost-effective service. Feb 12, 2018 Installed and working great!!! Feb 09, 2018 Awesome service. I had searched everywhere trying to find a replacement timer but had no success because it was discontinued. Appliance Timers was able to repair the old timer and the gas oven is working flawlessly. I saved a ton of money by not having to replace my oven. These folks know their stuff and everything went smoothly (i.e. : shipping, receiving, repair and return) and in timely fashion. Thanks again on a job well done !! Feb 03, 2018 Worked out exactly as they said, service was fast and the timer works perfectly. Feb 02, 2018 I just wanted to take a brief moment to let you know how happy I am…..my oven works and I think it’s temperature is more accurate then it was. I am now very happy and back to baking fresh bread! Jan 31, 2018 The item shipped to me was installed and it has worked as expected. Great customer service and value. Jan 22, 2018 Thank you so much!! Although 15 years old, my range is still in excellent shape so I was thrilled when learning you were able to fix the timer. It is back installed and the oven is working beautifully again! Jan 21, 2018 We appreciated the Personal and quick response from Howard. The service was excellent and the oven timer works well. We saved a lot of money, and with the help of a friend and my pictures we were able to get it operative fairly quickly. This is a company with old time customer service and expertise. Jan 18, 2018 Everything works! We now have a working oven and broiler. With shipping, my cost was about $150. So you saved me a few thousand dollars--the cost of a new range. Jan 17, 2018 I meant to send you an email last week when I finally got the control panel installed. My oven now works great and the installer/owner of Mr Appliance asked if he could have your website, email and phone # because he was very happy to hear this part can be purchased from you as opposed to telling his customers they need to buy a new gas stove. Also I really appreciate how you took the time to call and email me to make sure I was ordering the right part. Thanks again for all your help, it was a pleasure dealing with you. Jan 15, 2018 I was (and still am) very impressed with the simple repair process, only 1 week total turnaround time including shipping both ways, and overall affordabiliy compared to buying a new timer board, or worse, a new oven ! Thanks bundles for the excellent service, I recommend you and ApplianceTimers.com to anyone. Jan 11, 2018 I want to thank you for your quick response to send me a electronic timer for my electric range. after I installed it worked like a charm! Dec 29, 2017 We hired a Appliance Tech to repair our wall oven (the bottom oven element not working). Told that due to the age of 12 years the main timer control part not available. Was considering buying new appliance. Your company saved me thousands of dollars. Service was great, l removed part mailed it off and received it back within 2 weeks. Thank You. Will definitely use this company again. Dec 27, 2017 I cannot say enough. I was unbelievably pleased. I sent in the timer Canada post 2 day delivery. I received an email within the 2 days timer received. Within 24 hours of that email I recited an email that my timer was repaired and read for return shipment. I paid my invoice and had the timer in my hand within 72 hours. This was incredible. Timer was repaired and now works flawlessly. I’m so happy. Expensive duel fuel slide in range/oven cooktop. Timer was not manufactured any more and this repair saved me $2800.00 not having to replace the entire unit. Dec 22, 2017 My timer is working and we are back cooking! Thanks for the fix and the services, great to have a someone to fix timers, I really didnt to buy a new stove. Dec 18, 2017 I installed the timer the weekend after it arrived. The oven is working fine, and even the timer “ding”, which has not worked in years, works again! I will go to your site and post a testimonial. I was very happy with the service I received, how quickly the turnaround was (including the credit for our old unit), and, of course, with the fact everything works the way it should. Dec 08, 2017 Thank you very much, yes you helped tremendously and everything is working great. Will be recommending your company. Dec 08, 2017 So far so good. Installed it immediately, customer is happy. A great service, my Father owned an appliance retail store, back when timers like these were the norm. Working on this one brought back some memories. Thank you! Dec 05, 2017 We are super happy. The timer came quickly, installation was a breeze and its working fine. Nov 28, 2017 Excellent service, excellent price, prompt repair & return. Nov 22, 2017 I want to let you know that I an extremely satisfied with your service. The oven is working perfectly. I had requested that, if the problem was a relay, all relays be replaced and it appears that that is what was done. The repair was complete within 24 hours of you receiving it and it was shipped back about an hour after I made payment, based on the shipping notification email I received. You must understand the real inconvenience a household feels when it is without an oven! Nov 16, 2017 This company is a pleasure to deal with. The turnaround was fast and the communication was excellent. I would recommend to anyone needing a timer repaired. Nov 03, 2017 I would like to thank you for your prompt, cost effective, and timely repair. I'm glad I found you online and your service saved us getting a costly new range when ours was in fine shape and not that old. Your service is great! Jul 20, 2017 I am extremely happy with the work you have done on my EOC. I sent it out a week ago and got it back today. Within minutes I was installing it back in the range and when I applied power, my wife, with great big eyes, said, "My God, I can see the display". Everything works exactly as it should. Thank you very much. Back to Happy Wife, Happy Life! Jun 30, 2017 We wanted to extend our deepest gratification and thanks to your company for your speedy solution to our timer. Originally we were going to send in our timer and have you rebuild it. But you stated that you could rebuild one that you have in stock and get it shipped to us quicker. So, in the matter of 6 days (which included a Saturday, Sunday and a holiday Monday), you rebuilt a timer and shipped it out and I have now installed it in the stove. What fantastic service!! I would definitely recommend your company to anyone needing a timer rebuilt or replaced. Fantastic, professional and speedy service. Apr 26, 2017 The rebuilt timer functioned perfectly after it was installed. Having a custom built in oven it was a relief not to have to re-select and modify the opening for a new unit. I will definitely use your services again. Feb 28, 2017 I mailed my oven control from Perth ON on a Wednesday after 5:00 pm by priority mail. Received an email early Friday morning that it was already received and repaired. Received the control back by FedEx on Tuesday morning. Installed the control and it works like new. My wife said you have to email the company and thank them for such great service. I would agree. Thanks very much for the quick service! Jul 15, 2016 My timer display was dim where it was difficult to read the time / baking temperature - they also no longer produced the parts. Got my timer back today and everything is bright and visible! Took about 1 week from first shipping the timer to getting it back. Great service on the phone and happy with the work! Apr 21, 2016 Just want to say thank you for repairing my oven timer. I had taken it to a timer repair shop in Toronto before sending it to you and they said it wasn't fixable. I didn't have much hope that you'd be able to fix it, but figured there wasn't much to lose aside from the shipping cost. I was so pleased to receive the repaired timer today. It was in even better condition than I sent it to you in - the beeper is louder and screen display brighter. I wouldn't hesitate to recommend your service to anyone in need of a timer repair. Jan 13, 2016 Received the timer today and installed it; oven working - wife happy, thanks very much, great service. Oct 13, 2015 Just a quick note to let you know everything was received and has performed perfectly since installed. I'm very glad to have found your service online. We would not hesitate to recommend appliancetimers.com to others. Jul 30, 2015 Great Service! Sent timer away and it was repaired and on it's way back to me in less than 5 days. Works great and cost a lot less than a new oven. Apr 02, 2015 Faced with replacing our wall oven for at least $2,000, I took a chance and had it repaired with Appliance Timers. They were very helpful and the service was fast. In disassembling the control unit, one of the plastic clips on the unit broke because it was heat fatigued. I hoped it too could be fixed, and it was replaced at no extra cost. I give AT's my highest unreserved recommendation. Apr 08, 2013 The best repair service I have ever received. Of the various things I have brought in for repairs over the years, no one has matched the speed and efficiency of your business. I mailed an oven timer to you to repair. You fixed it the day after you received it. Shipped it out the next day and I received it the day after that. Incredible. And I saved a pile of money by not having to buy a new one. Apr 01, 2013 I was truly impressed with your companies service and have passed along your name many times. Mar 28, 2013 I tried to write a review but do not have an account so I felt the least I could do was email you back. When I called you at 4:50 PM with my problem you made the diagnosis of a faulty timer. I received the timer the following morning at 8:50 AM. The part was the correct one and it worked perfectly. You simply cannot get better service than that. Call it "likes", "thumbs up" or whatever you like, I am ecstatic with the service and would highly recommend you to anybody who requires this type of service. Mar 13, 2013 Worked out great, I'll definitely recommend your services. Jan 31, 2013 The timer is installed and working great, i was really pleased with the quick turnaround and the warranty, I have already told several people about your service. Jan 11, 2013 Thanks so much. The service technician from the first company I contacted charged me $320 for the service call and then quoted me an additional $520 to replace the burnt out controller. I ended up ordering it from ApplianceTimers.com for $230 and replaced it myself. You guys are at the top of my go-to list now. I am so glad I found you. Thanks again! Dec 26, 2012 Got the timer, installed it, and everything worked so I had an oven to use to roast a Turkey on Xmas. Thanks for coming through for me. Really appreciate it. Happy new year! Nov 06, 2012 I would like to say I appreciated your prompt service. I originally contacted Sears about this problem and they charged me appoximately $90 to visit my home and say it would cost in excess of $600 to replace the timer, something they could have done over the phone. I jiggled with some wires in back of the range and was able to get it to perform partially but we could not broil or clean the oven, nor would many of the other functions work. Your office did everything it said it would do and provided a refund for the old timer as soon as the timer was received by you. 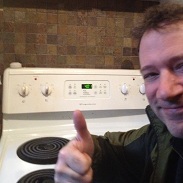 The time you sent me works perfectly and we are pleased that we have a fully functioning stove once again. Thanks for your help. Oct 31, 2012 I have nothing but good things to say about your service. You make it easy to forward an item to you, and then you repaired the part and returned it (by Fed-x, rather than regular mail!) in a very timely fashion, which impressed me. Unfortunately, the motor on the dish washer "gave up the ghost", and once again I was unable to find a replacement part, because of the age of the machine! Thank you for the very good service you gave to me, as I'm sure you extend to all of your customers. Jul 27, 2010 Over the years I have dealt with many vendors/service providers and the quality of customer service has always been a pet peeve! I would like to take a moment a thank Macro Point for the OUTSTANDING service they have provided me. I ordered a replacement timer from your facility July 12, received it the next day, which is unbelievable, and was back up and running. Thank-you again for your quality customer service! I worked for many years for a huge company and I learned the value of customer service and support. Worth mentioning that your friendly and professional support are unique and outstanding. Thanks for the great service. Feb 12, 2010 I received the Electronic Oven Timer today, and installed it in less time than it took me to research the problem. The stove is now working again, at a cost far less than a new part. Thank you for your quick service. I am returning the unserviceable part as per your instructions. Once again thanks for your wonderful service. Jan 18, 2010 Thank you very much for excellent service. Our range is 12 years old and works fine. It was just the timer that needed repair. The manufacturer wanted $300 to send a repairman out when all we needed was the timer fixed. At that price we thought we should shop around for a new range. I'm so glad we found your website. You repaired our timer with such a quick turn around that our oven wasn't out of service for long. Dec 29, 2009 Thanks Guys. Works great and excellent turnaround time. I recommend ApplianceTImers.com 110%. Saved myself $300! Oct 13, 2009 WOW...I saved almost $200.00 having my timer rebuilt. I thought it was unrepairable...returned and repaired like new within a week. THANKS!!! Aug 20, 2009 I thought I was going to have to replace my stove! The all purpose timer/clock/oven control stopped working and the best replacement cost I could find from the OEM and on the net was over $500. ApplianceTimers.com fixed my timer in about a week (including shipping) for just over $100 with taxes and shipping. Jul 21, 2009 Excellent service! I received the timer on Friday and was baking 1 hour later! Great work…You saved me about $900! Jul 18, 2009 My wife Judi, had your company repair a Sears stove, electronic control, a couple of days ago. This note is to convey a "Big Thank You" for providing this service. We really appeciate having you near by. We've recommended you often, over the past 10 years since we discovered you. Feb 16, 2009 Howard and the staff did a FANTASTIC job. They allowed me to bring in my old unit and within 5 minutes the circuit board was replaced and tested. I was shown how and where the fault occurred. This was an extremely economical and fast way of replacing my timer. I believe I received a superior product with a 1 year warranty for one quarter of the cost! I wish all repair operations worked like this. Thanks again!!! Jun 12, 2008 We have been referring our customers to Macro Point for over 13 years and we continue to be very impressed with the level of service they provide. We make custom reproduction vintage-styled kitchen appliances. We have been in business since 1975, so when customers call us with timer problems related to some of our early models, we find that replacement parts are often no longer available. We are thankful that Macro Point always seems to be able to repair these aging timers to help our customers increase the value they get from our products.